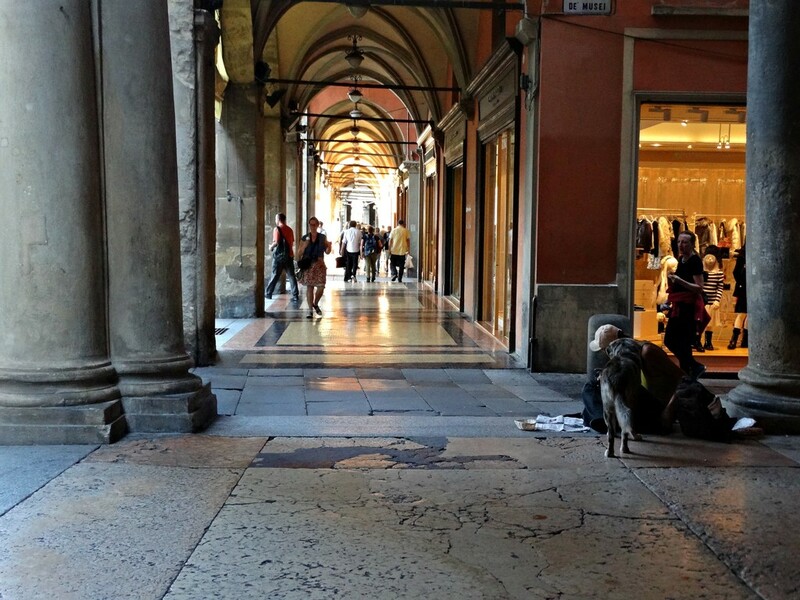 Life works in mysterious ways and what we saw in Bologna taught us a valuable life lesson. It is not difficult to think of ways of making someone else’s day better if you just look around with thorough eyes. Everywhere, there are people that could use a lift on their spirits. And that is exactly what we want – to make someone else’s day better, a nice memory. To restore their hope. While walking through the streets of Bologna after a 4-hours road-trip from Slovenia, we were tired and hungry, but overwhelmed with happiness – another amazing city was waiting to be discovered, and how beautiful it seemed already! Again, because we always try to spend as little as possible during our trips, we had bought some delicious and very healthy sandwiches and bagels from a cute little shop in Ljubljana’s city centre, and we had planned to eat them on the go since we only had one day and one morning to enjoy Bologna. As we wandered through the orange streets, we found a homeless man, sitting on the floor, surrounded by stray dogs. He had very few, yet he somehow seemed happy. He was not alone – those caring and sweet dogs seemed to treat him as a lifelong friend. 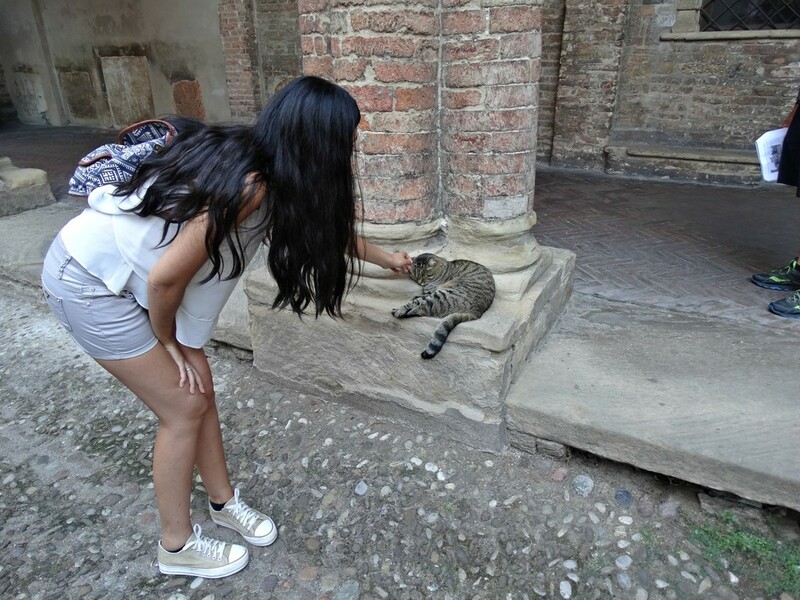 Of course, we couldn’t avoid sharing our food, offering the man some sandwiches before venturing further into the countless narrow alleys of Bologna. Minutes later, when we coincidently returned to that same place (ok we were actually lost), we saw one of those heart-warming moments that stay in your memory for long: that same homeless man was sharing the food we’d just given him with his dogs. 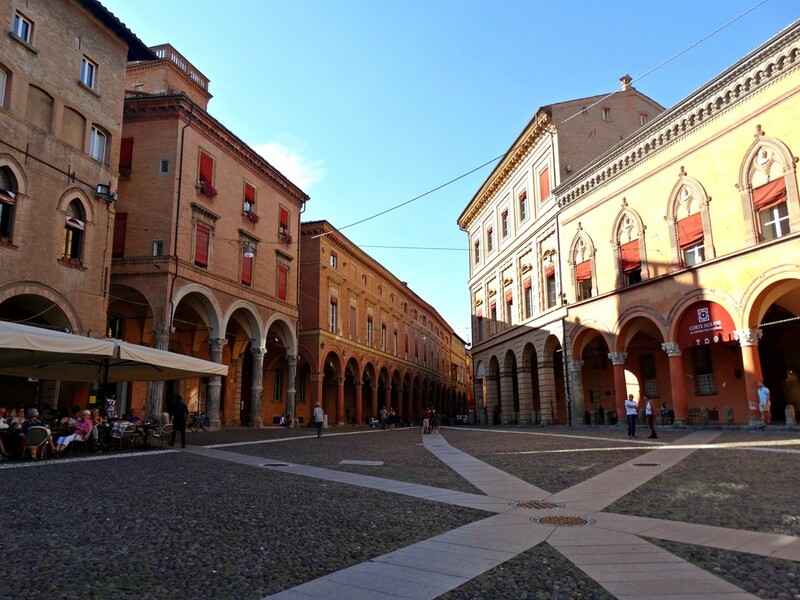 This post is about random acts of kindness in Bologna, but this time, it is not about our kindness. It’s about this man’s beautiful action that had us feeling like faith in humanity can be restored after all. It seems that kindness only generates more goodwill, so we want to share this life motto with you. Have you ever done some random acts of kindness? If not, go out and do it! And let us know on the comments below!